The new MacBook Pro features 15.4-inch Retina display with 2880 x 1800 pixel resolution, so everything on the screen looks great and incredibly sharp. It currently runs on OS X Lion (which has been updated to take full advantage of Retina display), and will be upgraded to Mountain Lion OS when available. Powered by Intel’s latest mobile Core i7 Ivy Bridge processor with GeForce GT 650M for graphics acceleration, up to 16 GB of DDR3 1600 MHz memory, flash storage of up to 768 GB. It also sports a FaceTime HD camera. 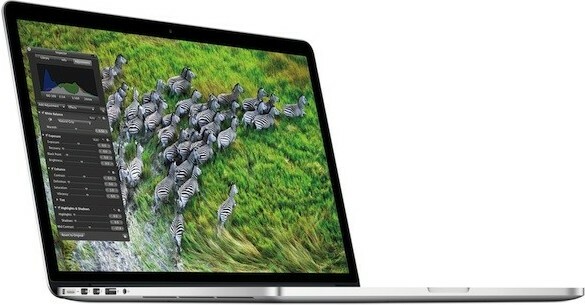 Connectivity and Expansion options of new MacBook Pro 2012 includes two Thunderbolt ports, two USB 3.0 ports, HDMI, glass Multi-Touch trackpad, full-size backlit keyboard, dual microphones, enhanced speakers, 3-stream 802.11n Wi-Fi and a thinner MagSafe 2 power port. The new MacBook Pro measures just 0.71 inches and weighs 4.46 pounds.It provides a stand-by battery life of 30 days and up to 7 hours of usage. The new MacBook Pro is now available for $2199 USD. 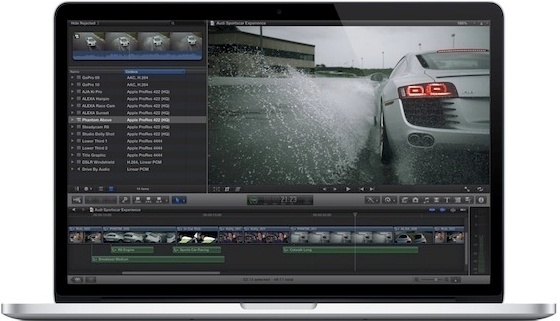 Tags: new MacBook Pro, MacBook Pro 2012, new MacBook Pro features, new MacBook Pro specifications, new MacBook Pro review, new MacBook Pro details, new MacBook Pro availability, new MacBook Pro specs, new MacBook Pro images, new MacBook Pro pics, new MacBook Pro pictures, new MacBook Pro price.